Monday I will wrap up the coffee-computer saga. God worked in some incredible ways, and I can’t wait to share with you what He did. My my recent article for the West Michigan Christian News featured a local farming family and how their faith impacts how they farm. I love all the interviews I get to do, but this one – well, any time there are fresh ice cream samples involved, how can it not be a favorite? This is an incredible family, and their milk products are delicious. Check out the article about the Westendorp family and Moo-Ville at Christians in Business: Dairy Farmers see God’s provision. Next week, October 18-19, is the Breathe Christian Writers Conference. This conference is one of my favorite times of year! It’s like a family reunion. Even if it’s your first time attending, it’s like discovering long-lost family. My friend Susie and I attended a few years ago for the first time, and didn’t know anyone. We left feeling like we’d found our home. It’s been a privilege to be on the planning committee, and we have a great conference lined up. Registration has been extended through Sunday at midnight. If you live in the Grand Rapids area, or can get here next weekend, and you are even slightly interested in writing, this is the place to be. We have a fantastic line up of workshops and speakers. Check out the schedule here, and then register here. This post about marriage by my friend Cindy really impacted me. The Other Lover. Cindy also has a Bible study, called Red Hot Faith, releasing on DVD in 2014. I had the chance to be part of the audience for the taping a few weeks ago. Check out the video recap of filming here. She tells a great story in the video, and you might see a familiar face! This is a great post on Jen Ferguson’s blog about how we manage our time, and the author poses 2 great questions we should ask ourselves – When your plate overfloweth. Small world, Rosanne – the guest post’s author – grew up in my hometown/church/school, and I had her husband as a high school teacher. My friend Jen, who is also my running buddy whom I mention in my book a few times, has started a photography business. 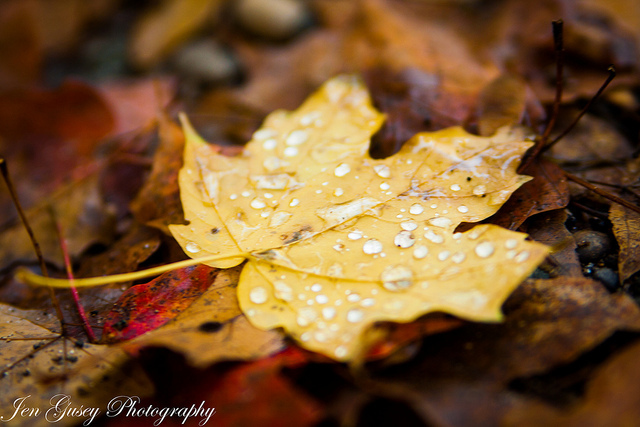 You should click this link and see the cool photo of a leaf that she took last week. While you’re there, you might as well “like” her page on Facebook too. The article, A Mother’s Heart, by Kim Gottschild on Burnside Writers Collective just pulled at my heart strings. Really not much I can say other than, oh letting go is so hard to do! Have a wonderful fall weekend! We have our small-town harvest festival on Saturday, and I hope to enjoy some pumpkin donuts and cider! !